Trello is a great tool. It’s possibly the best free, simple and visual way to get things off the ground for any new project of venture. But as your team grows, you start noticing the signs you’ve outgrown your current solution. You need something to take you to the next level. 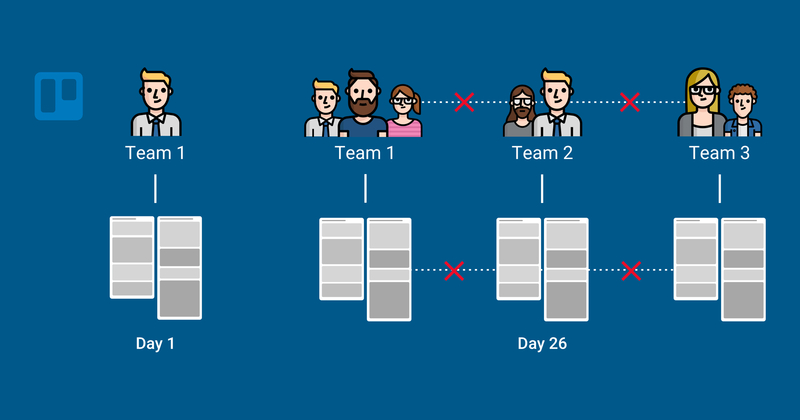 Your team discussions - a key component that gathers the context where most work starts - can’t happen in Trello. As your team grows, work will spread across many projects. You’ll try to organize tasks that span across multiple teams or project, and you’ll fail. 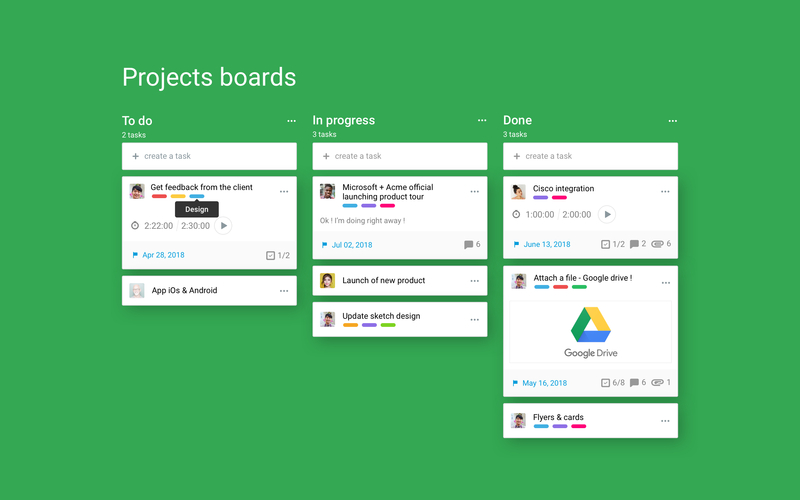 Trello and most other apps force you into a single board. In the beginning this restriction is great for a small team with a single project, but think longer term, the idea is to grow and have multiple projects that can be managed simultaneously. In Azendoo, a task can be linked to multiple contexts and boards. This means that the same task can evolve differently in multiple workflows simultaneously. 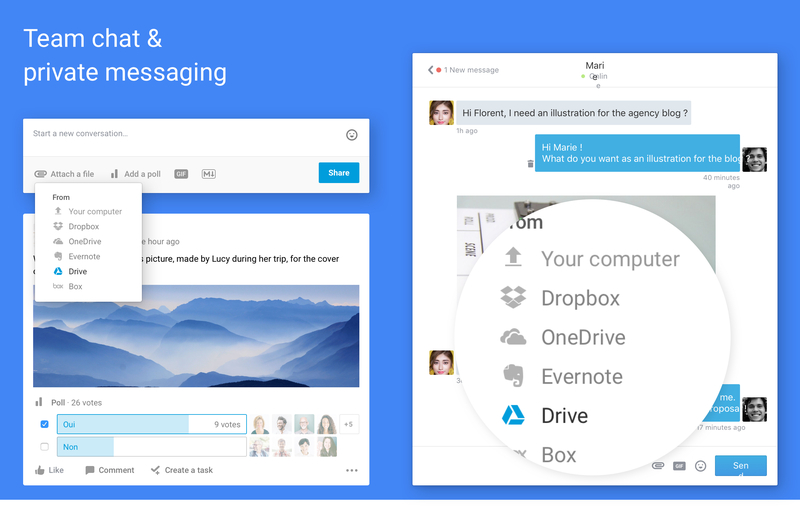 We’ve made navigation a breeze and you can switch boards directly from any task. Any change, discussion, document or schedule update will automatically be updated in all boards in real-time. There is a huge divide between task list users and board users. Some believe the most efficient way to work is to create lists of tasks and assign them. Others believe it’s more efficient to visualize and arrange tasks on a digital whiteboard. Being efficiently organized as a group is only possible if you’ve made the same commitment to plan, execute and collaborate around your own work as a team. 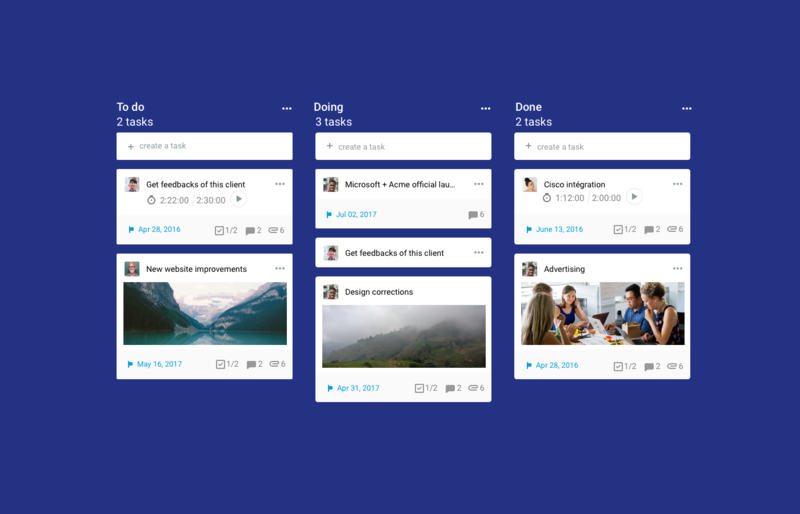 Quite surprisingly, collaboration apps like Trello don’t let you see (or filter out) your tasks across team projects to organize them in your own personal board. That’s a big issue because you have no way to adjust your work against that of your teammates. This becomes a big issue when you grow, as you have no way to adjust your personal workload to account for the team workload. Azendoo was built from the ground up to help you set your priorities and plan across different axis (time, team, people, etc.). It might appear obvious, but Trello cards are moved from one stage to the next, never actually finished, even if you send them in the “done” column. It doesn’t really tell you what you did well as a team or where there might be opportunities to improve. Tasks that can actually be marked as done provide a great insight into how you or your team is progressing towards your goals. Because Azendoo was designed to help teams collaborate around work and get it done, we provide more analytics than just workflow progress. In Azendoo you can easily track progress, activity or time spent in our dashboards. Basically, collaboration is built around 2 pillars: communicating and tracking work. A discussion leads to ideas and actions, a task needs communication (chat, voice, video, meeting) to be completed. So why don't Trello and other apps bundle these two pillars into one single app. If you are using Trello, you have most likely bundled it with an external team chat app. And you’ve also activated A LOT of third party extensions so that you could, in theory, maximize the output from your Trello account by adding an endless amount of features, often ruining the user experience and simplicity. 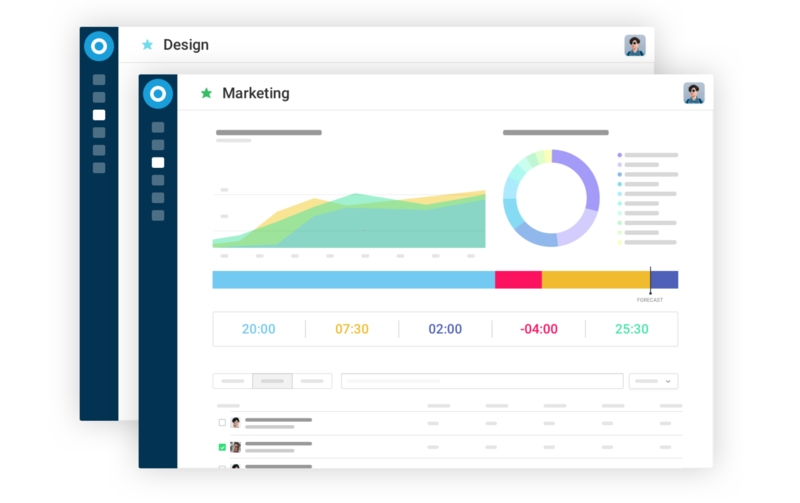 Azendoo keeps an elegant UX, simple and coherent experience across team communication and work tracking, all in one place. So, if you and your team have outgrown Trello, but don’t want to give up on a beautiful interface and team productivity….. you may have just found exactly what you were looking for. 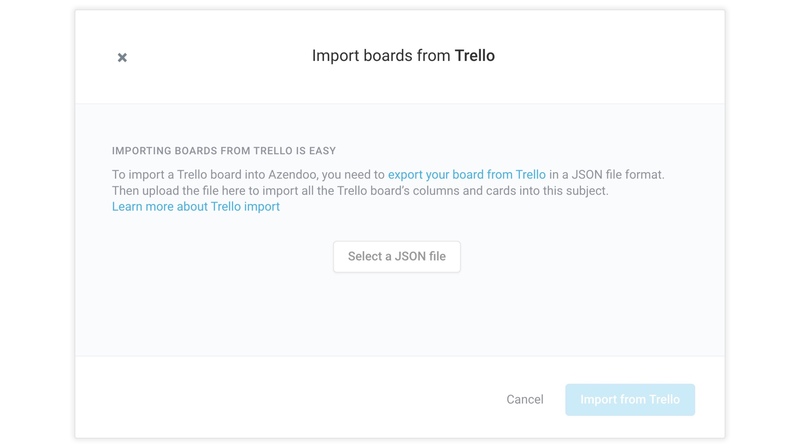 Import all your trello boards with just two clicks and try Azendoo for free! Export your Trello board as a JSON file. Import the JSON file to Azendoo. Running Trello Business Class with a lot of boards? We're here to scale the process and do it for you. just get in touch.